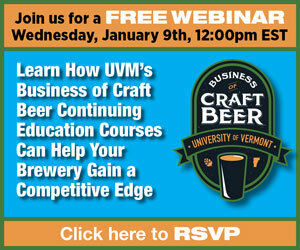 Cutting down on the cost of yeast can help a brewery save money. And, working on keeping a healthy yeast strain through the years not only helps with cost, but with consistency. When you have developed your own yeast strain, it’s vital to keep it going. Both Saint Arnold and Thomas Creek have experimented with strains over the past few years while Anchor — a veteran of the craft beer community — has worked with its sames Lager and Ale yeast for hundreds and hundreds of generations. 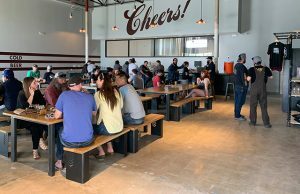 Brewer Colin Klingemann at Saint Arnold said the Houston brewery developed a wild strain isolated from locally grown citrus fruit. They also have a proprietary Ale strain purchased from a brewery in England that is no longer in operation. Consistency in the wild strain has yet to be seen, as they have only used it in one barrel-aged beer so far, he said. Selection of the strain involved single colony purification on plate media, with approximately 10 mL overnight cultures; sensory selection after 50 mL forced fermentation, then propagation up to the desired pitching rate. Owner Tom Davis at Thomas Creek said his brewery has two strains that are unique to just them, a strain from honeysuckle that was isolated by South Yeast and a house “funk” strain that a former brewer, Zach Newton, developed as a mixed culture. “The purity of the honeysuckle is maintained by South Yeast and we only use it once a year for our Honeysuckle Saison,” Davis explained. “The mixed culture is maintained here in a liquid sugar substrate or harvested after emptying our seasoned oak barrels. 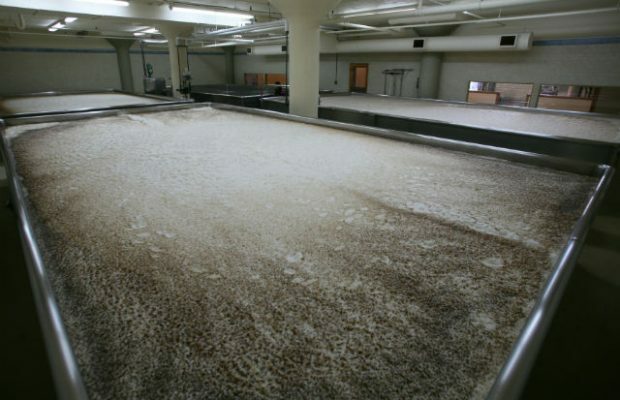 Thomas Creek does not clean its yeast, instead they restart their house strain every seventh generation. The Anchor story — like it is for most veteran breweries — is a tad different. “When it comes to yeast it is pretty unique and somewhat remarkable,” explained Brewmaster Scott Ungermann. Owner Fritz Maytag bought the brewery in 1965 and he would get Lager strains from other breweries in San Francisco. “It’s interesting because this is a common practice now that brewers kind of share strains and will lend enough to pitch in a pinch to one another,” Ungermann said. “Fritz would do that by getting yeast from the big guys because he wasn’t brewing all that frequently. With two fermentation rooms, the Ale yeast and Lager yeast never touch to minimize the risk of cross contamination with the brewery’s open fermenters. The open fermenters have a trough in the bottom for the yeast to settle into prior to being collected. 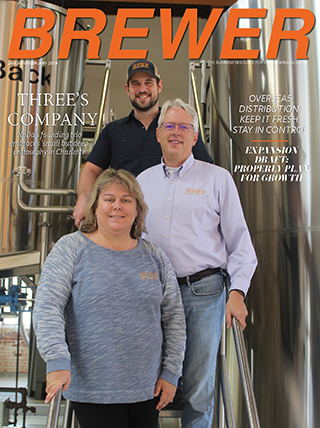 The brewery does an acid wash every two weeks to help drop the pH and clean it up, but Ungermann said that through the decades, the brewery has had ‘very robust, healthy yeast’ that has managed to live in the same environment for a long time. “As long as we give it proper food and caring, it lives on without propagation,” he said. The story for Anchor’s Ale yeast is the same, which is used in the brewery’s Liberty Ale and Porter. 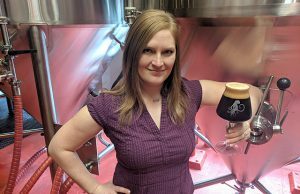 Ungermann said that Anchor does have library samples kept at a yeast lab should they ever have a catastrophic event, but they have been able to keep the yeast going in-house. He noted that Anchor does viability tests but the fermentations over the years tell the story. “If the beer ferments out in the right amount of time at the right temperature, then we know it’s going good,” he said. “Steam beer is a very unique process. It’s a Lager yeast fermenting at a warmer temperature and it’s a quick open fermentation — just three days — and the yeast will flocculate down into the trough and we collect it out of the trough and put it in the brink and then re-pitch it within a few days and and it lives on. Ungermann did note that Anchor will reach out and get different yeast for different beers as well. The brewery is working with the new yeast strain right now called Sacch Trois — a non-flocculating Belgian yeast that Ungermann said gives off a very interesting fruity aromatics. 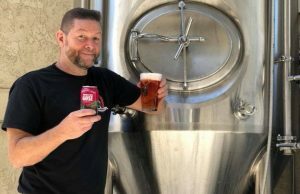 “We’re using it for a new IPA (San Franpsycho) that we’re about to release and we’re pretty excited about this for this particular beer,” he said “We don’t brew in open fermentation upstairs, so it’s a totally separate yeast system. The beer is actually a mix fermentation: a blend of the Sacch Trois yeast that Anchor purchased and their house Ale yeast. “We’ve found that blend finishes out properly and it gives a nice aromatic component,” Ungermann said.